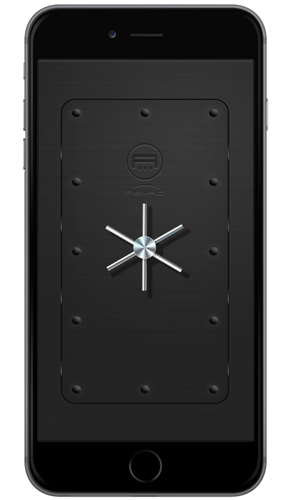 Revolutionary mobile communication app by Salutis Systems ensures users‘ ultimate privacy. Asyric is the ultimate solution for individuals valueing their privacy while searching for top quality. 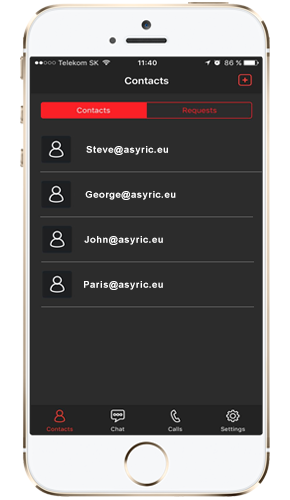 Salutis Systems introduces its own encrypted mobile application Asyric. Various ailments, such as the fact that the information shared via mobile communication is not completely safe and private, are a consequence of modern times and the corresponding innovation progress. One doesn’t necessarily have to be a perpetrator of a crime for someone else to be interested in monitoring what is being sent via their mobile device. Salutis Systems presents Asyric app. It was introduced just recently and immediately increased communication encryption standards accentuating its focus on select security. "Many of the current communication tools use encryption, however with questionable parameters. Asyric secures real-time calls and text messages utilizing end-to-end encryption – directly between communication parties," Martin Kocak, CEO at Salutis Systems explains. Asyric relies on Salutis Encryption System, a combination of a modified symmetric AES and latest asymmetric encryption algorithm ECC (Elliptic Curve Cryptography). The user registration only proceeds via an email account which certainly is a remarkable advantage of the application. As opposed to the usual encrypted apps, Asyric does not need user‘s phone number to operate. Concerns about the phone number automatically showing-up in the contacts list associating it with app usage are entirely out of question. The choice of visibility for other app users is certainly another major advantage of the application considering even greater security and privacy concerns of some. Choosing "invisible" status guarantees no other Asyric user will be able to find you although the ability to find other "visible" contacts remains unchanged. Since the user registration and authorization runs strictly via provided email, it is viable to use the app even with no SIM card in the device or tablet. "The internet connection on a mobile device is the only requirement for completely smooth usability," Kocak continues. Asyric indeed represents a perfect communication tool for business conversations, too. It reliably protects user privacy and does not allow sensitive information leaks to third parties. The app may be downloaded via Apple AppStore and Google PlayStore. "Asyric is the ultimate solution for individuals valueing their privacy while searching for top quality. The efficiency of similar free tools is often questionable as the credibility and even accuracy of the encryption ciphers implemented is highly-disputable," Kocak concludes.